Would you kill Riley? The Houston SPCA would. A lost Pomeranian was killed at the HSPCA before her owner could find her. A woman is told by an HSPCA employee to bring a stray dog to the HSPCA to "have her put down". The HSPCA demands that a man take all but 4 of his rescued cats and dogs to the HSPCA. The HSPCA kills 20 of them and demands that he bring 5 more to them. 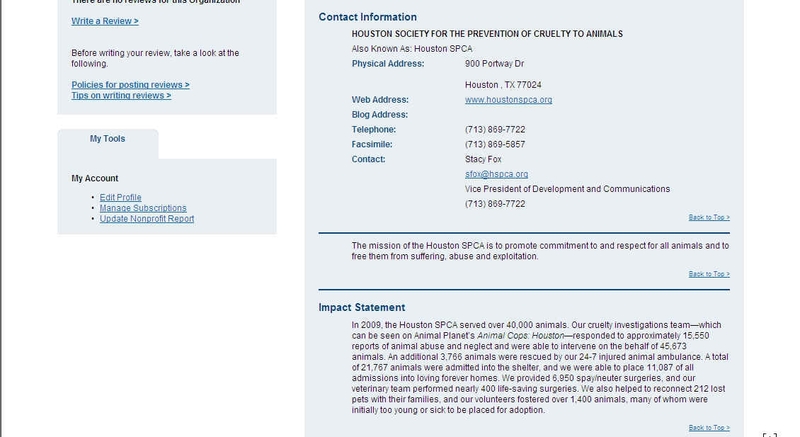 Keisha Shaw, with Houston SPCA, voicemail in which she lies to All God's Creatures rescue group. Keisha Shaw, with Houston SPCA, voicemail in which she lies to All God's Creatures rescue group claiming that a cat that had been originally adopted out by AGC has been returned to the adopter. Actually the Houston SPCA had killed the cat. According to a KPRC news report, the Houston SPCA says it does not adopt out Pit Bulls. This means that all Pit Bulls entering this "shelter" are killed. Why Did Remington Die at the Houston SPCA? Remington, an eighteen month old Miniature Schnauzer at the HSPCA, was scheduled for retrieval by the Mini Schnauzer Rescue of Houston. The next morning, the HSPCA killed him just two hours before a rescue group arrived to get him. The Houston SPCA labeled Remington "unadoptable" because he was an Owner Surrender and was Heartworm positive. The rescue group was told that he was killed because he was heartworm positive and they needed the space. The rescue group asks "Why isn't the Houston SPCA a No Kill shelter? Why is there a sign on the wall that states "We do not euthanize because of lack of space"? Good question. There have been a number of questionable raids by the HSPCA. In many cases, the animals do not appear to be in danger; but after the HSPCA does its "raid" the animals die... they die from improper handling or are killed by the HSPCA. And HSPCA kills all dogs "rescued" in dog fighting raids. "Fighting Over Dogfighting Dogs Continues"
"Those "rescued" dogs are dead, or lining up to die"
On Guidestar, HSPCA claims to have placed only 11,087 of 21,767 animals. What happened to the other 10,680 that they took in? Killed. That is 51% KILLED by the Houston SPCA. Houston SPCA's 2007 tax form showing 9.7 million dollars in donations. 990 for Ruby McKibben Foundation. 990 for Ruby McKibben Foundation. Board members include PETA's director, Ingrid Newkirk and Houston SPCA director, Patty Mercer. 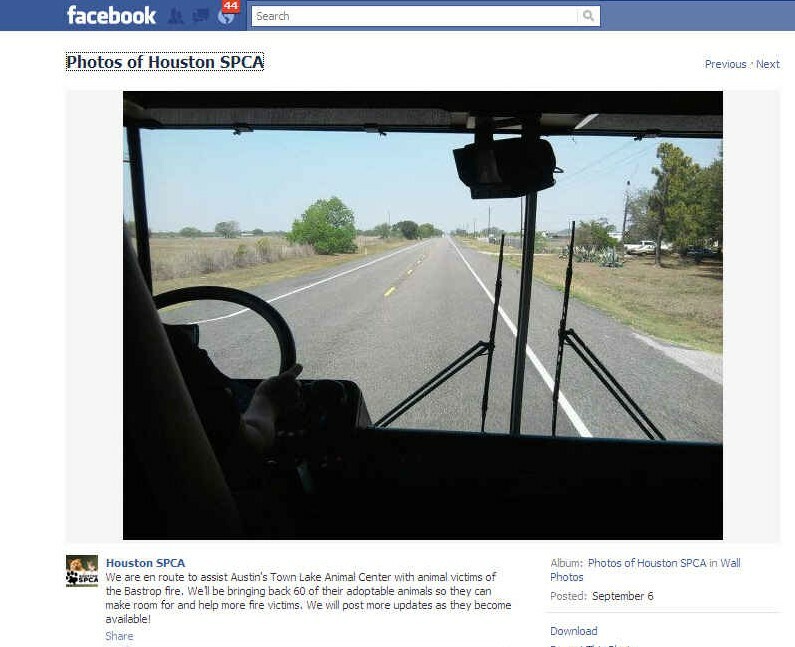 Click here to contact the director at the Houston SPCA and ask her why she has not implemented the successful No Kill model of sheltering, but instead chooses to kill 65% of the animals that they take in. Or call 713-869-7722.